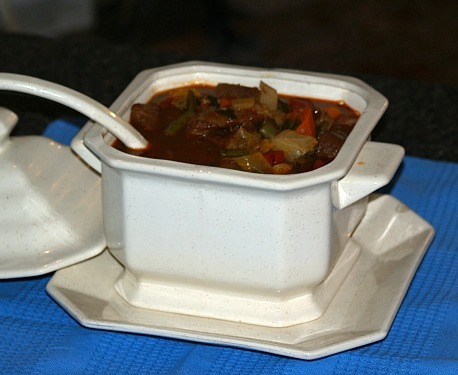 If you are learning how to make hearty soup recipes, I consider the ones served steaming hot and made with a combination of the heavier ingredients. These recipes usually contain meat and sometimes a combination of meats, they also could have combination of vegetables like starchy potatoes, peas or carrots and often they will have some form of pasta and grains like rice or barley. When I learned how to make hearty soup recipes I found that they are very popular in the United States and other countries especially during the winter time when the temperatures get very cold. 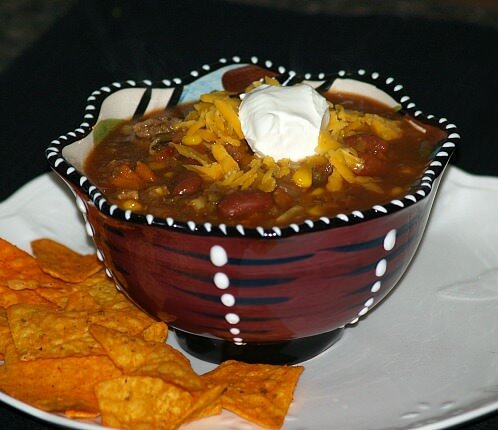 Having grown up in Ohio where it can get quite cold, we usually had a pot of one of these heavy recipes on the stove every day. I think of these soups as a necessity in the winter time. A cup of this steaming hot soup can take the chill from your body very quickly. These ingredients burn more slowly and keep the body warmer longer. 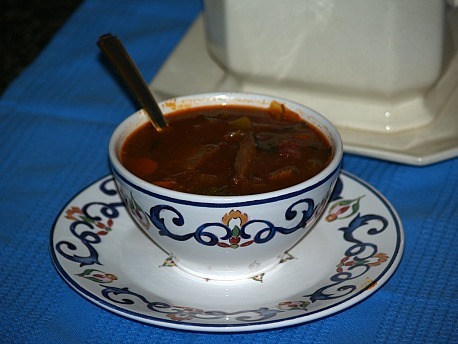 I learned how to make hearty soup recipes that can also be made without the meat. As I said earlier that the starch ingredients like potatoes help to make a heavier soup. A very good winter soup is cream of potato. The combination is filling and warming; cheese, chopped parsley, celery and carrots are often added for flavor and bulk. Simple meatless vegetable soup can also be hearty; for instance the cream of broccoli. Again the cream and cheese combined with the vegetable makes a wonderful tasting and filling soup recipe. You may not think of chicken soup as a hearty soup recipe but it certainly is. This soup has had a reputation for decades as being one which is hearty, warming and very healing. I have seen this work with family and friends all around me. As it has been passed down for generations to my grandmother, then Mom and to me, there is something healing about the homemade chicken soup. Boiling the chicken with (WITH THE BONES) releases healing agents into the soup. This hearty soup recipe warms the body faster than any I know. Adding homemade noodles not only makes it more delicious but the carbohydrates in them add a calmness and soothing effect on the body. Granted I am not a medical professional or a scientist but I have seen this soup work. One of my dogs suffers with bronchitis in the winter; I give him a little homemade chicken noodle soup every morning and it relieves it instantly so I am a believer. Melt butter in a large heavy saucepan. Brown meat; add the onion and garlic and cook until tender. Add the carrots, celery, potatoes, salt, pepper and tomato juice. Cover and cook over low heat until vegetables are tender. Slowly combine a little milk the flour to make a smooth paste. Then add 1 cup of milk and stir until smooth. Slowly stir the flour/milk mixture into the soup mixture and boil a minute or two. Add remaining milk and stir while heating; do not boil. Combine and heat the broth, milk, butter, flour, chicken base, salt and pepper; Add cheese and heat to melt. Add vegetables and cut up chicken and heat until hot but not boiling. This is among the hearty soup recipes and is very good for winter colds. Cover chicken with water and bring to a boil; Remove any scum and add vegetables. Reduce heat and simmer for a couple of hours until chicken is very tender and coming off the bones. Remove from heat and strain; remove chicken pieces from bones. Add broth and small chicken pieces back into pot. For each quart of broth add 1 cup of noodles; cook for 10 to 15 minutes and serve immediately. Homemade noodles can be added to most of the hearty soup recipes. In soups, they hold up much better than the commercially made noodles. Unlike most recipes which you see, I only use eggs (mostly yolks), a little salt and enough flour to make a dry dough. Three to five eggs will probably make enough for a family. I divide the dough into small balls (about 1 cup size) and then I roll it into very thin circles. After rolling all the dough I go back to the first piece, fold it in quarters and then roll it up. Now I am ready to slice it into noodles. A small sharp knife does a good job cutting on a cutting board. After cutting, lift the noodles and shake them apart. Sauté onion in 4 tablespoons butter until tender but not brown. Add flour and stir over moderate heat about 2 minutes. Gradually add the chicken broth whisking until smooth. Add potatoes and seasonings; simmer uncovered until potatoes are almost tender. Sauté carrots, leeks and mushrooms in 4 tablespoons of butter until just softened not brown. When potatoes in soup are barely tender, add celery which should remain crisp. Add whipping cream and stir until smooth; add salt and pepper to taste. Add chicken; serve hot garnished with leeks, carrots and mushrooms. Combine all ingredients in Crockpot EXCEPT FOR GARNISH and stir well. Cook on high for 4 hours; serve with garnishes.